It’s a story of loss. How did your association with the Akthars begin? Zoya and I became friends when we worked together as AD’s on Kaizad Gustad’s film Bombay Boys. Through her, I met Farhan. Zindagi Na Milegi Dobara is one of my favourite films of all time and this year I went to Spain and Morocco… What inspired you and Zoya to write Zindagi Na Milegi Dobara? It definitely derives from all the holidays we have been on. The road trip the boys went on I think was loosely modeled on a trip Zoya and I had taken with a couple of our friends through Spain, Italy and France. We also used all our friendships as reference points I suppose, because ZNMD on a level is so much about that. I am a fan of offbeat cinema and the films you’ve been involved with have been in this genre; why did you chose these rather than commercial ‘rom-coms’? I choose a film because of the core idea or story in it. Once I am convinced of that I allow it to lead me to whatever space it needs me to go into as a writer & director. I think I am just trying to make films that I think I will enjoy watching. I don’t enjoy rom coms so I don’t think i will ever make one…there are enough people making them anyway. The elusive Aamir Khan; the man everyone loves. How did you get him to say yes to Talaash and what is he *really* like? I think the script did most of the talking in terms of getting Aamir on board. A big thank you to my co-writer Zoya for the crucial role she has played in the development of the story & screenplay. 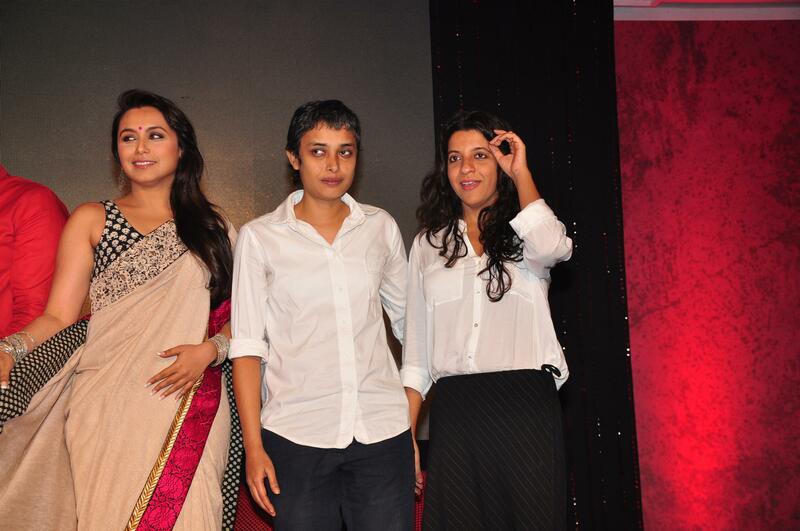 As a woman in Bollywood, as a director, how easy or hard was it to get your big break? I have faced no discrimination or prejudice as a woman in my 16 year career in the Hindi film Industry. I think compared to most other places this industry is a healthy place for women to work. The growing numbers of women joining the industry in an entire spectrum of jobs are proof of this. The difficulty I have faced has to do with my ideas not being very run of the mill…I have a slightly alternate or off beat sensibility and that is not necessarily something to celebrate around here. Finally, Talaash looks right up my street but for those who prefer the classic Bollywood cinema why should they watch it? Talaash has a gripping story line that is being propelled forward by cracking, convincing performances. I don’t see why lovers of classic bollywood cinema should be averse to this. The core of the film is very emotional…something right up the alley of Indian viewers.